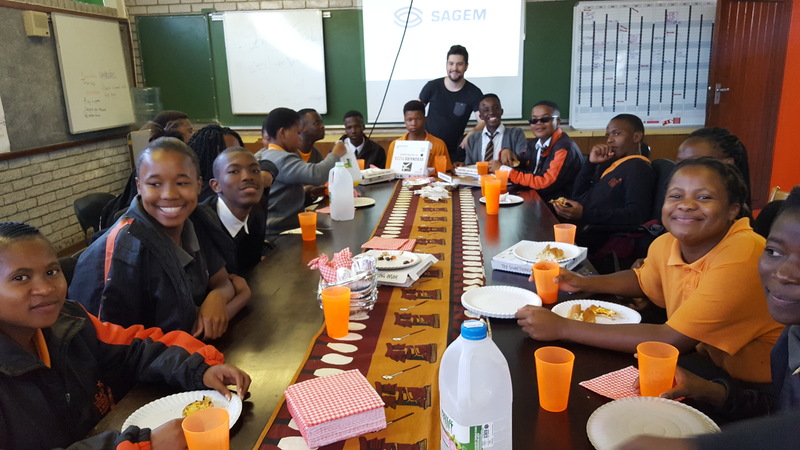 On 14 March this year, BSGers from our Cape Town office went to the LEAP Science and Maths School in Langa, LEAP 1, to upgrade and personalise their Computer Lab. 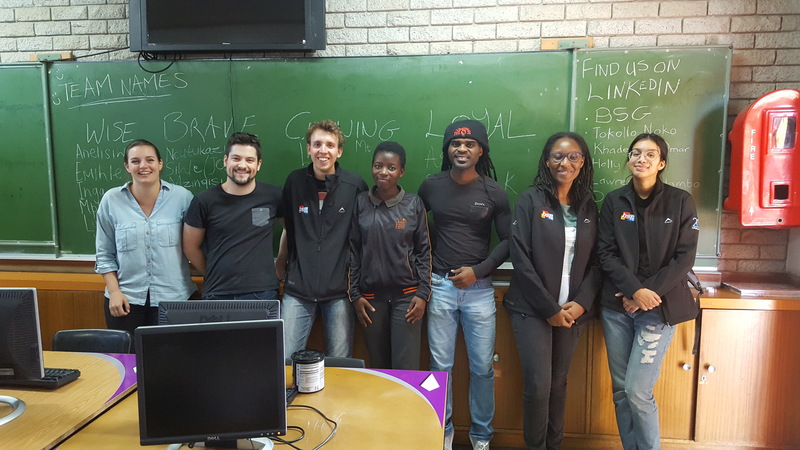 For over a decade, BSG has maintained a strong relationship with LEAP, supporting them by donating time and money. One of the ways in which BSG supports LEAP is through annual Do-It Days, like this one. 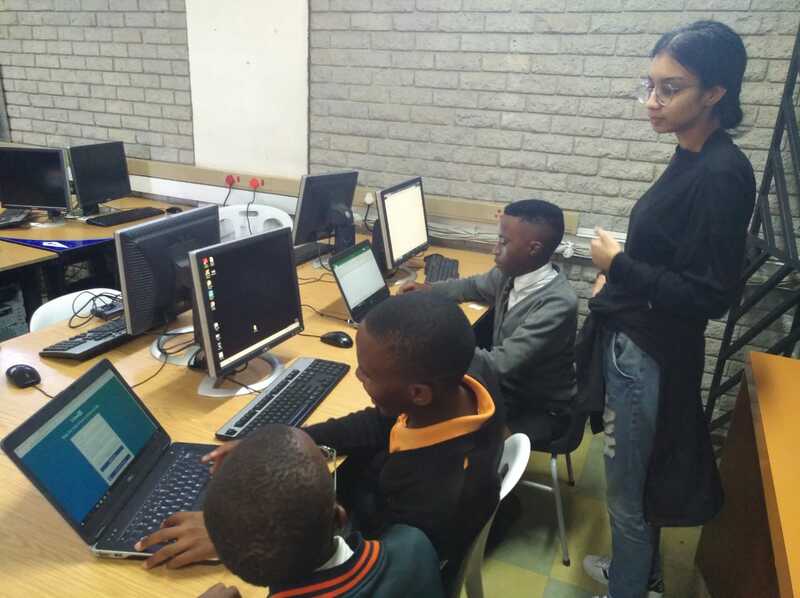 BSG donated 10 computers for their Computer Lab. 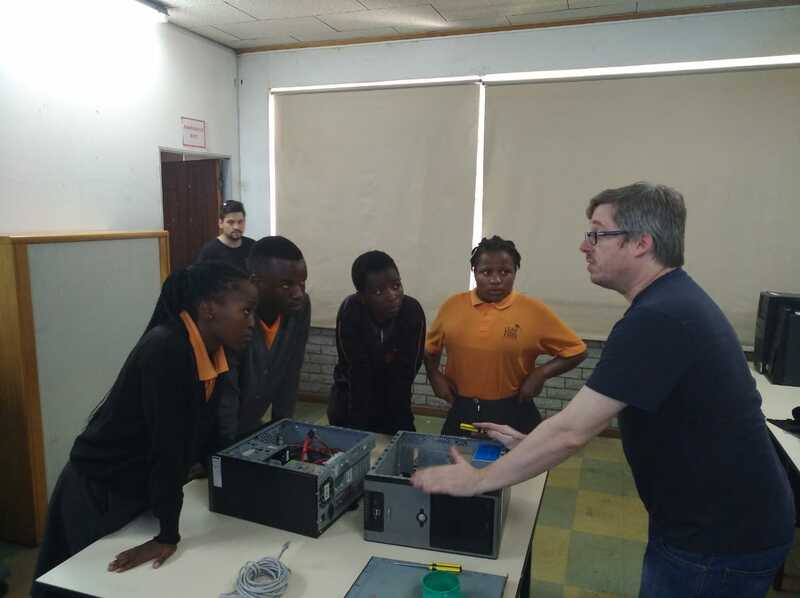 A few computers were also opened up and learners were given a quick explanation of the inner basic workings of computers. The learners were very engaged and had many questions. 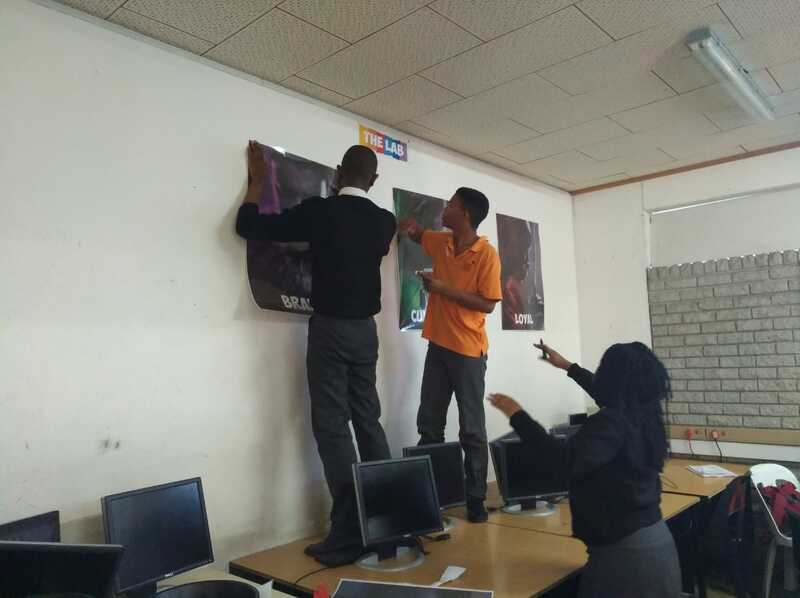 As the Matric learners will soon be entering the working world, we took care of getting all the learners signed up to LinkedIn. We assisted with every aspect, from creating email accounts for those who have none to taking a professional photo for their profile image. 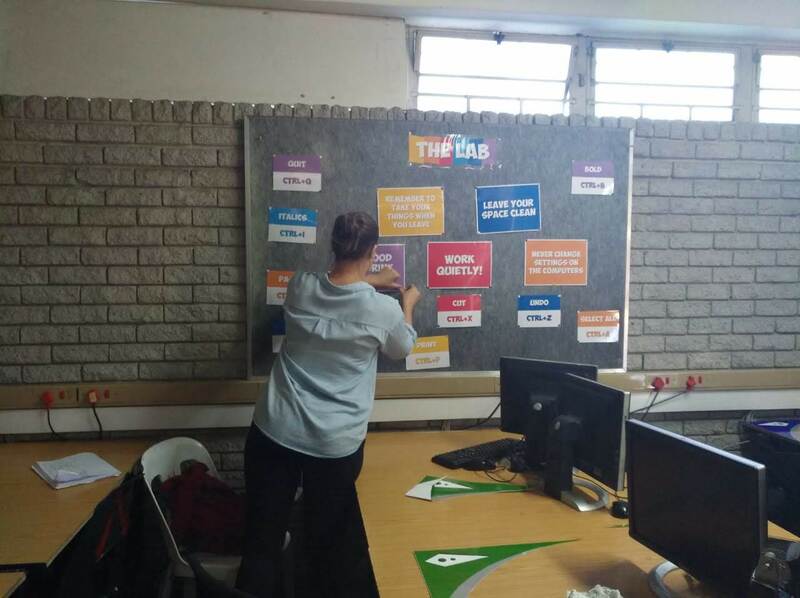 Ensuring learners are engaged also means enabling them to learn in an environment where they feel comfortable and happy. BSG helped clean out the Computer Lab’s back room, allowing for the possibility of future expansion. This also created a great work space for the school’s resident IT specialist. Here he can further explain and delve into the world of computers. Every Computer Lab needs some rules, so BSGers printed out and laminated the classroom rules and stuck these up on the classroom notice board. A couple of handy shortcuts in the computer world were also printed out and put up along with these. Using a random draw, the learners were grouped into four teams. Merging the concept of the Harry Potter houses with Black Panther, each team was given an iconic Black Panther persona and assigned unique house qualities. The learners enjoyed this aspect of the day the most. BSG created four A1 posters of the iconic Black Panther characters and these were put up in the Computer Lab. This theme was then used to decorate the four rows of computers in the Computer Lab. BSG supplied vinyl stickers, which were stuck on the corners of each of the tables. Chalkboard paint was also donated for the school to revamp damaged blackboards. And what would a Do-It Day be without pizza? BSG supplied lunch to all involved on the day. Creating a great time for learners and BSGers to socialise and get to know each other. What is a Do-It Day without pizza? Thank you to everyone who joined and added tremendous value to Do-It Day. Every contribution was exceptional and appreciated.